This morning Diana from Guide Dogs for the Blind talked to everyone about Guides Dogs for the Blind, how they are trained and how the charity helps visually impaired people. 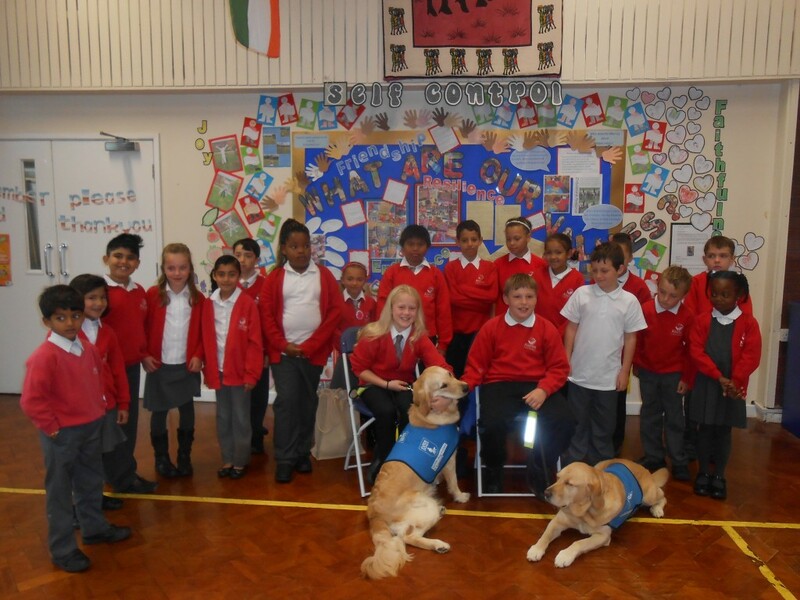 Diana also spoke about how we might be able to help by raising money and sponsoring a class of guide dog puppies. 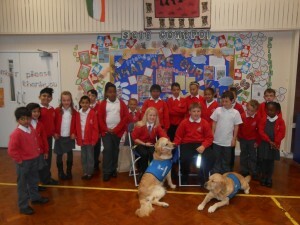 School Council with two special guests, Millie and Una. On Monday 6th October we will be inviting two very special visitors to lead our assembly. Diana, a volunteer speaker from the Guide Dogs for the Blind Association will be talking about what the charity does, about the training the dogs undergo at puppy school and how they help visually impaired people and the difference they make to their lives. 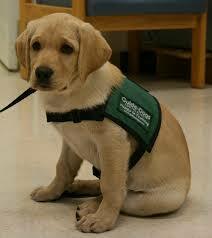 Diana will also be accompanied by either a guide puppy or a retired guide dog. The assembly coincides with Guide Dogs for the Blind week so we will be thinking of ways that we can fundraise and hopefully raise enough money so that we can sponsor a class of three guide dog puppies for a year. If you have any ideas on how we can do this please let Miss Nicholson or Miss Whiteley know.